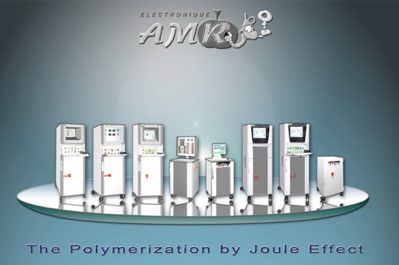 The high performance product machines reference as GPE IV, GPE III and iGPE 3 allow all winding wires polymerization types. GPE IV are complying with multi-processor computers which provide a great temperature accuracy. Different interfaces are in use allow easy operating without special training. 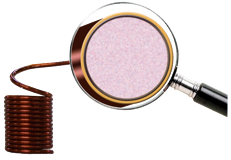 The thermo-setting bonding wire (copper but also aluminium) is an enameled wire with a bonding final layer (also called bondcoat). The thermo-setting wire allows the same characteristics like those obtained by impregnation, but the design of products, the process of industrialization and the new approach to the job need to be different. Copyright © 2000 … 2016 AMR electronique. All Rights Reserved.